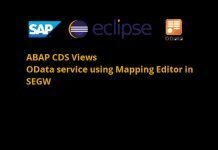 Dear SAPLearners, in this tutorial we will learn how to use query option $top and $skip in SAP OData service. 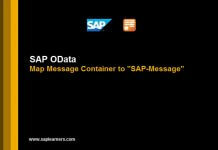 Before proceeding further we assume that you know how to build OData service in sap gateway. What $top and $skip query option does ? Query option $top and $skip are used to restrict the amount of data retrieved from back-end system. Client side paging is possible by using this query option $top=n query option will retrieve the top n records from the OData service feed/collection. $skip=x will go with $top=n query option, it will retrieve top n records by skipping the first x records from the OData service feed/collection. A gateway OData service is getting all the products from the back-end system. You want only top 5/first 5 records from the list of products, you can get that by adding $top=5 to the OData service URI. You want top 5 records by skipping the first 3 records, you can get that by adding $top=5&$skip=3 to the OData service URI. 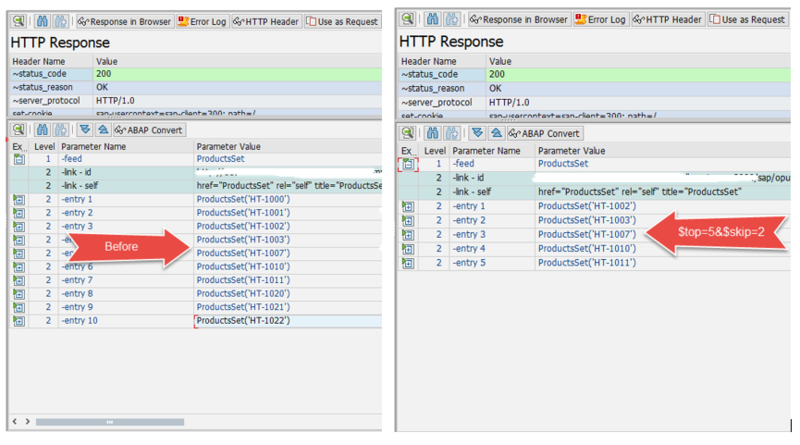 In this section we will adjust the OData service to respond to $top and $skip query option. $top and $skip query option should be applied only to Entity Type sets. 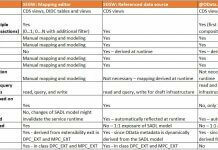 We assume that you have already build the OData service to get the list of products. if you have not click here. 2. Code inside the method PRODUCTSSET_GET_ENTITYSET will look like below i.e before adjusting the service to $top and $skip query option. 3. In the above code snippet, we have retrieved the list of products generally by providing the max rows.Now we will adjust the code to adapt it to the $top and $skip query option. $top and $skip query options are accessible in the method by using below 2 lines of code. 4. 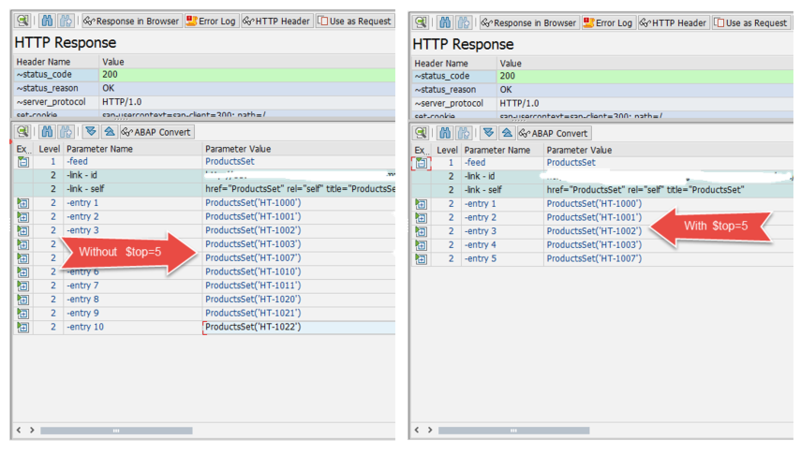 Put the below code in the method PRODUCTSSET_GET_ENTITYSET to respond to the $top and $skip query option. LOOP AT lt_entityset INTO ls_entityset. lv_table_size = lines( et_entityset ). 5. What we did in the above step.First we got all the products and then get $top and $skip query options value from the service request.Next we applied them on to the BAPI result data to get the desired data as per the $top and $skip query options. 7. If we execute the service without adding $top and $skip query option, we should get all the products available in the system. If we add the $top=5 query option to the service we should get the top 5 records. Test the service by providing the following URI with $top=5. Stay tuned to us for more SAP Netweaver Gateway tutorials. Thank you. Please feel free to comment and let us know your feedback.